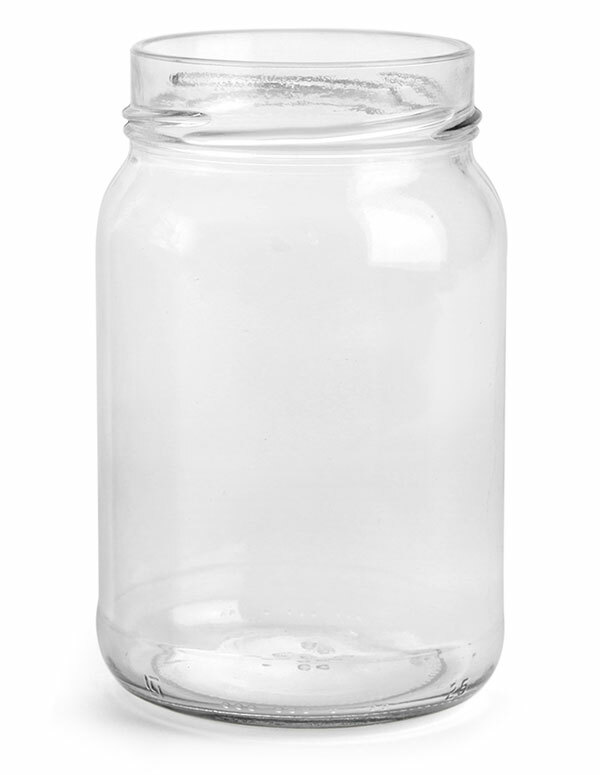 These clear glass wide mouth jars could be ideal for jellies, sauces, canned vegetables, and more! 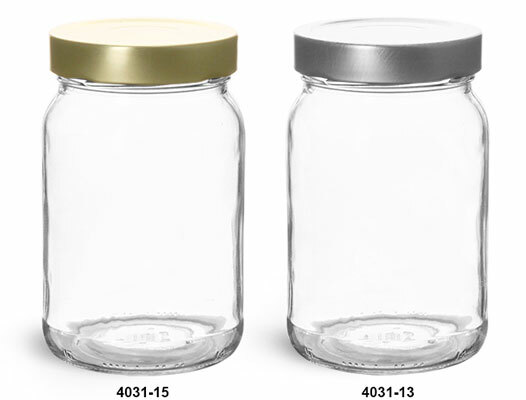 Choose silver or gold metal deep lug caps with these glass jars. 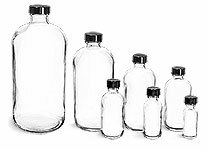 These plastisol lined metal closures will create a tamper evident hermetic seal with the glass jars after using suggested heating methods. These caps feature a button on the top of each cap that will pop once the seal is broken.